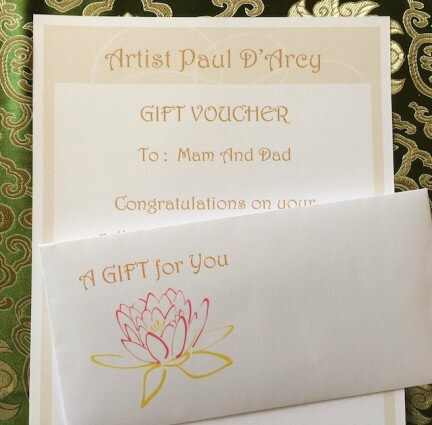 A gift voucher from Paul D’Arcy makes the ideal present for that special person; whether for a birthday, wedding, corporate gift or for a work colleague’s retirement/leaving gift. Simply fill out who you wish the voucher to be made out to and the voucher amount and you will be emailed the PDF gift voucher to print. If you are local to Skerries you can pay and collect the voucher from the studio or you can buy over the phone by ringing 086 6028904 with your email address & card details.